A concern with using traditional search engines is the accuracy and trustworthiness of content that ranks well. In a recent study only 40 percent of teachers say their students are good at assessing the quality and accuracy of information they find via online research. 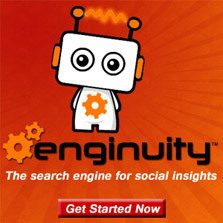 In a previous article we demonstrated how Enginuity with it’s social relevancy search is outranking Google for discovering trust worthy sources of information. Now with more and more of the world’s content online and being shared at an exponential rate via social media, it is critical that students and faculty have the right tools to gain a better understand to finding quality sources appropriate to their task. Help students put their research skills to the test. Get classrooms engaged and excited about using social media technology to discover the world around them. Gain better perspective of social opinions on subjects such as recent news, politics and culture. Leverage social shares to identify new engaging topics for the classroom. 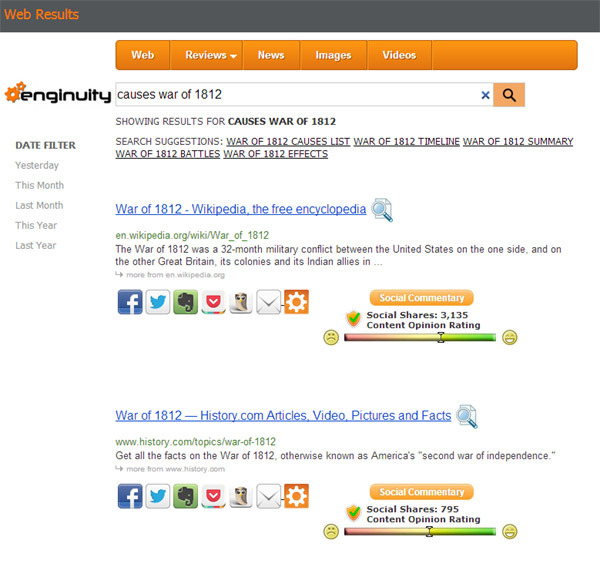 Promote collaboration through sharing information among students directly from search results to social networks. Save research information directly to Evernote and Pocket for note taking and referencing later on. Study social insights to better define research in sociology, health, pop culture and media studies. Save research information for speed reading it later on. Delivering the right search technology for schools can help students become skilled searchers and build better trust with teachers that the right information is being used.